It's January, and needless to say I've been on a bit of a lip product kick, as they're typically the product that I reapply most throughout the day especially during the winter. 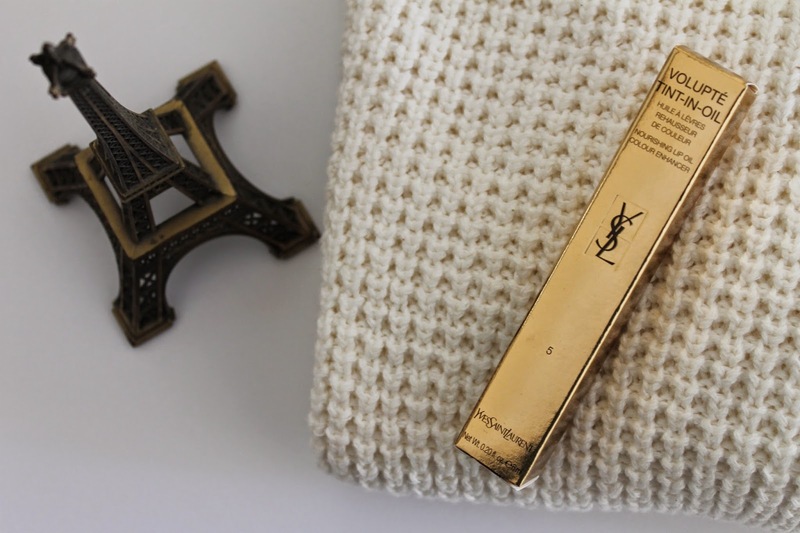 Lately, anything that can give my lips that extra shot of moisture has been on my radar, and that's precisely why the YSL Volupte Tint-in-Oil made it's way into my possession. The concept of this product is quite unique, and while I have owned a lip oil before, it wasn't much in the longevity department - all the product would soak in quite quickly and leave no color behind. Leave it to YSL to create another breakthrough lip product, and definitely one that will have its competitors following suit - which I won't be complaining about. We need more lip oil-stain hybrids like this in out lives! The Volupte Oil-in-Gloss goes on like a gloss, but is actually an oil, and once it's slicked on the tint that is suspended in the product transfers to the lips creating a stain that lasts - even after the oil has been absorbed or wiped away. This stuff feels amazing on and is the answer to dry winter lips that are lacking color. I've always loved stains, but have had issues with them drying out my lips and I can say that this is the most hydrating lip tint I've yet to come across. I got the shade Cherry My Cherie 5 which is a pretty flushed pink color, that leaves your mouth looking as if you'd just eaten a bowl of cherries. 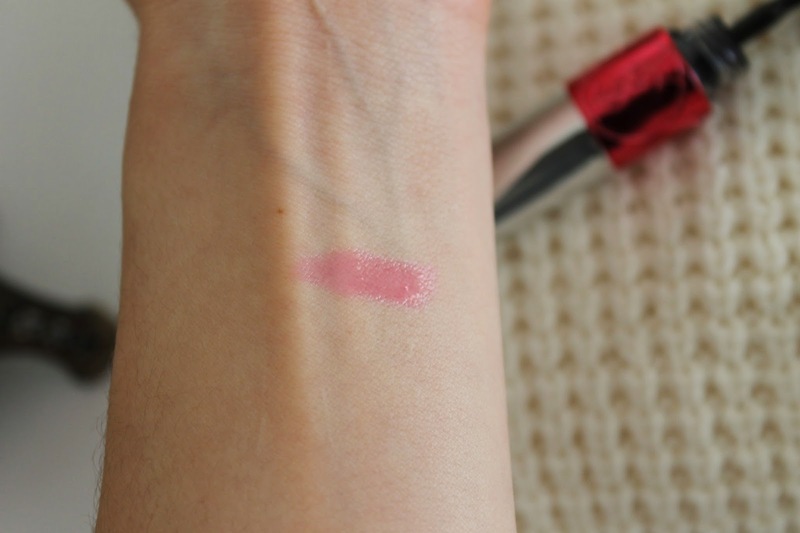 If I had to make a comparison, I'd say it's most similar to the Dior Addict Lip Glow in that it enhances the appearance of the lips, but it's more moisturizing and longer lasting. You'll have to pry this from my hands because this stuff is good. I need this in my life. I've been getting more into lip glosses lately, but I really wish that they were moisturing at the same time since my lips get do chapped during winter! And plus this shade is so pretty! Love it and need it! I've never tired a lip oil before but these have definitely caught my eye. The fact that you mentioned they're hydrating is a huge plus for my dry lips right now! Thanks, girl! Wow, this sounds amazing! I love the sound of an oil-stain - quite unique me thinks! Plus, THAT PACKAGING.